Back in December, Jimmy Buffett said on Radio Margaritaville that he’d be back to Wrigley Field in 2017 to celebrate the Cubs winning the World Series. That promise has been fulfilled today with confirmation of a show at the friendly confines on July 15th. Huey Lewis and the News will open for Jimmy. Tickets go on sale Friday, February 10th at 10am CST. 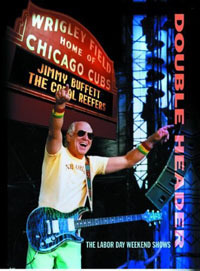 Buffett last played Wrigley Field in 2005. He also recently attended the Cubs World Series celebration at the White House. View all 2017 tour dates that have been announced so far.